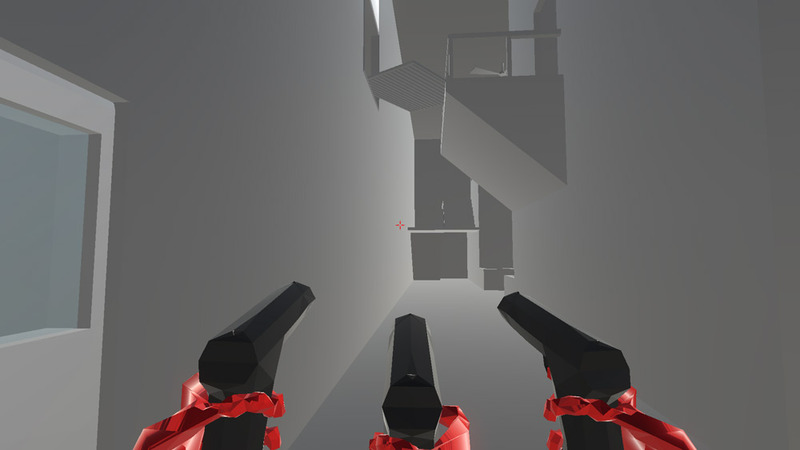 "A time bending first person shooter that morphs in to a puzzle!" 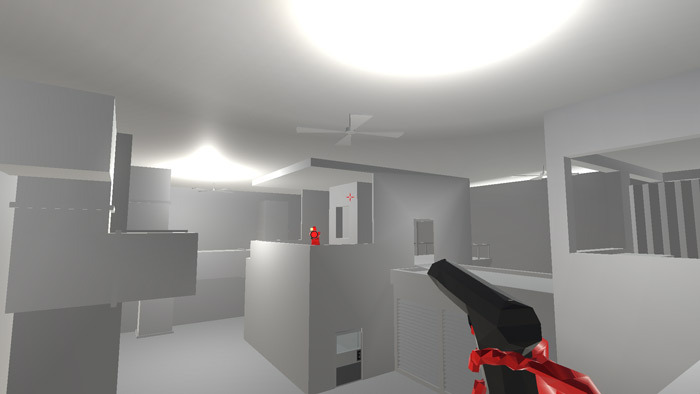 KEANUWARE is a very cool and stylish first person shooter game that takes a lot of influence from the game SuperHot which makes sense as it was made for the #MAKEITSUPERHOT game jam and although starting off in a similar fashion where you can pick up guns at first one, then one in each hand and then rather oddly one in each of three hands! When you stop moving time will slow down giving you time to aim and fire at your enemies, the objective of the game is to find and take out the blue guy but there are a lot of red enemies in your way who will have to use the time slow down system to shoot, there is also some puzzle elements to the game where finding how to move on to the next part of it may be quite difficult and once you have found and destroyed the blue guy then you will face a series of surreal puzzles as you have to appease the blue mask. 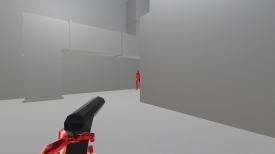 KEANUWARE looks and plays great although slows down a little once you have the blue mask and have to shoot targets rather than people although it will test your reflexes and hand eye coordination by having to shoot ahead of the target positions. You can download KEANUWARE here for free, as strange and surreal as it is, it’s certainly a lot fun.